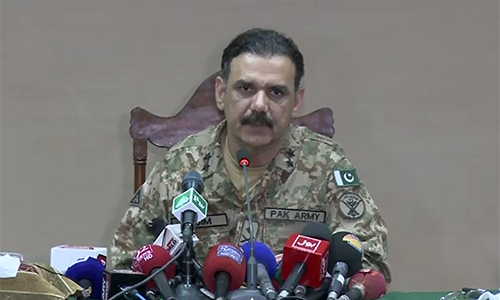 PESHAWAR (92 News) – DG ISPR Asim Saleem Bajwa has said that terrorists came from Afghanistan and the attack was also planned there. He ruled out the involvement of the Afghan government. “Terrorists used two gates to enter, but airbase guards fought valiantly,” he said, adding that later the terrorists divided into two groups. The DG ISPR said that terrorists were contained within 50 meters. “One of the groups martyred the people performing ablution. The group was countered in the parking area as well,” he said. He said that development has been made in the Shuja Khanzada case.